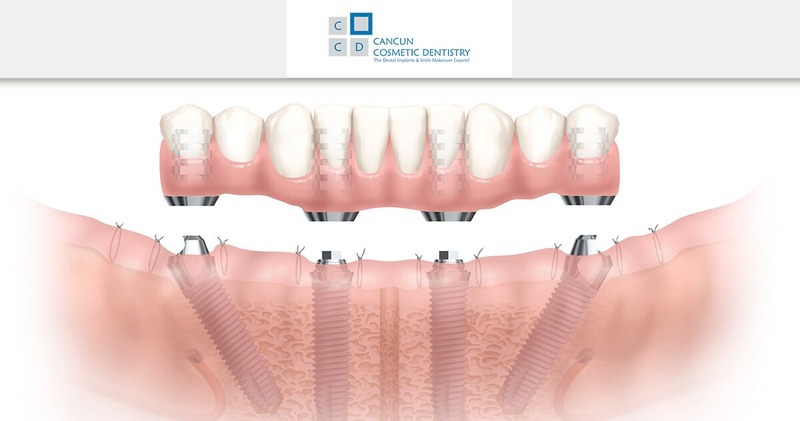 This is what you can expect when getting All-on-4 dental implants! I had three teeth that were missing, dead teeth, crowns, cracked teeth. My mouth… I think, was a mess and I didn’t know how to make it look better except for a whole total makeover and so that’s why I came down here. My name is Lory G. I live in Minnesota. I came here for the All-on-4, both upper and lower, so they had to remove all my teeth. And as you can tell, they look beautiful and feel good and it only took a couple weeks to do it! The staff here is unbelievable, I mean, you get to know everyone and they get to know you and they just want to make sure you are very happy and… I am! You know? I don’t speak any Spanish so it was a little scary to come down here, but most of the staff did speak English or if they didn’t, they’d have get somebody that did and interpret, but the staff, polite, friendly… I can’t say enough about them, everybody was just wonderful… Wonderful! I went to a place up in Minnesota, it’s called Clear Choice and I was astounded! Sixty thousand dollars to do upper and lower. Came here, got everything done. I stayed at a hotel for three weeks, for half of what I would’ve paid in Minnesota. I mean, is just astounding. I had to stay an extra week, I had no problem staying an extra week by myself because, very secure! I mean I haven´t seen anything or heard anything bad about down here, it was just great! Just great. Temperature? A little warmer than I’m used to from Minnesota but very nice, very nice down here. I will definitely come back. And now I have a beautiful smile! If you want to know more about what our dentists in Cancun Cosmetic Dentistry or more about what All-on-4 can do for you call toll free from USA and Canada 1-800-565-1424, or if you are already on vacation in Cancun and want to meet us, you can call us for an appointment at the following local number (998) 1-40-51-25. Doctor German Arzate just got certified by the ABOI/ID! We connect to other people with our smile. A must read testimonial! !